Understanding the impacts of the emergence of hereditary social inequality in human societies is one of the fundamental questions in archaeology. 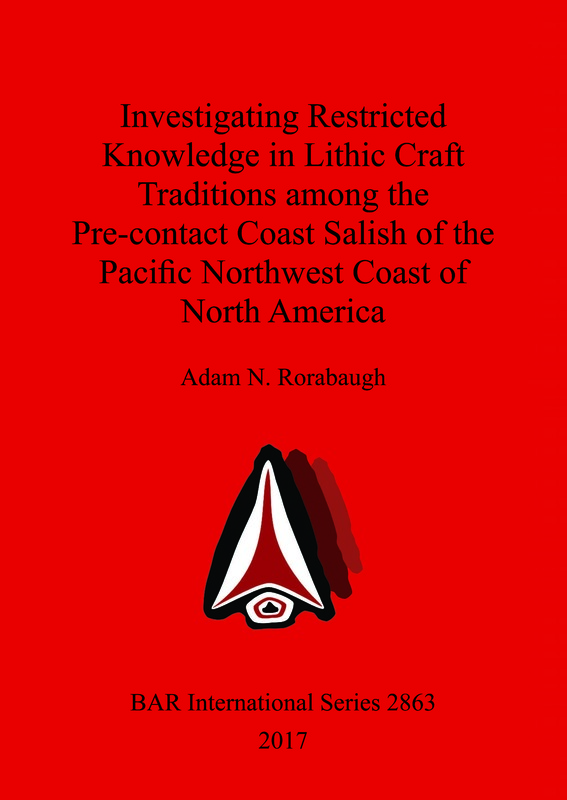 This book is one case study examining the transitions in craft apprenticeship of formed lithic tools among the precontact Coast Salish of the Pacific Northwest Coast as hereditary social inequality emerged. According to cultural transmission theory, the emergence of large plank house villages and hereditary social inequality would result in the restriction of craft knowledge, and was predicted to reduce the stylistic and fine scale metric variation of formed lithic tools. High resolution metric and stylistic analyses were performed, controlling for material quality, tool retouch and sample size effects. Stylistic variation in lithics and assemblage heterogeneity suggests that lithic craft knowledge became increasingly restricted through time, with the emergence of large sedentary populations. Adam N. Rorabaugh received his PhD from Washington State University and has worked on the Northwest Coast for a decade. His research interests focus on the impacts of the emergence of social inequality on the production and reproduction of knowledge and material resources among complex hunter-gatherer-fishers from an evolutionary perspective.